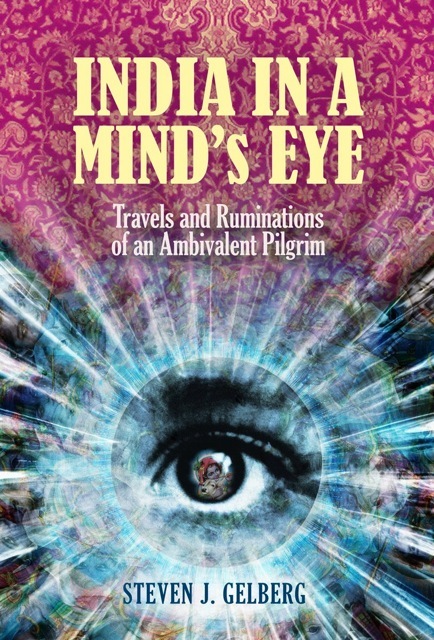 "Steven Gelberg has written an extremely interesting book based on journals he kept during a 6-week trip to India in 1986. . . . By then he had been in [ISKCON] long enough to witness its growing problems and contradictions, and to begin to question his own journey. . . . His observations in this memoir are tinged with the "mind's eye" of a skeptic, albeit one laced with dry wit and humor. . . . As a travelogue detailing that vast fascinating country, Gelberg's vivid descriptions reminded me of Paul Theroux's observations in his classic first travel book written in 1975, The Great Railway Bazaar. . . . Anyone interested in India or Eastern thought or cults, or just fascinating travel writing will enjoy this wonderfully written and insightful book." "A marvelous book . . . Purely as a travelogue, it stands alongside the best ever written. It is much more than that, however, and is—as Gelberg recognizes in his title—a journey of the spirit that helps us understand the ups and downs of ISKCON's first fifty years. It does not claim to provide a comprehensive history of those years, but it is a valuable contribution to the history that is yet to be written. Anyone who wants to understand India or ISKCON should read it." "Gelberg speaks for thousands, perhaps millions, of Westerners who travel to India in hopes of finding a paradise of ultimate truths. This book, then, will be useful not only to scholars interested in the history of ISKCON, and in many respects the history of newer religious movements in the West, but also to readers who have caught the India bug. With a foreword by pioneering scholar of new religions Robert Ellwood, this volume makes a valuable contribution to both the scholarship of new religions and the ongoing dialogue between the culturally constructed 'East' and 'West' of western civilization." "A dramatic personal journey, a controversial Hindu movement in the West, two vastly different societies, and several decades in the late twentieth century—Steven Gelberg has brought them together beautifully in this unique and well-told tale. It is one the reader will not soon forget." The Amazon Kindle will be available soon!